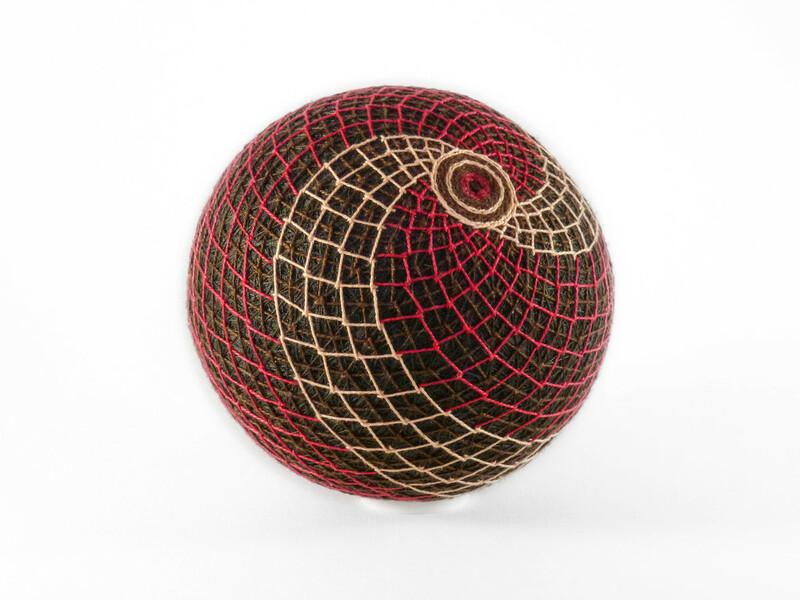 In temari with simple divisions, a north and south pole are defined. 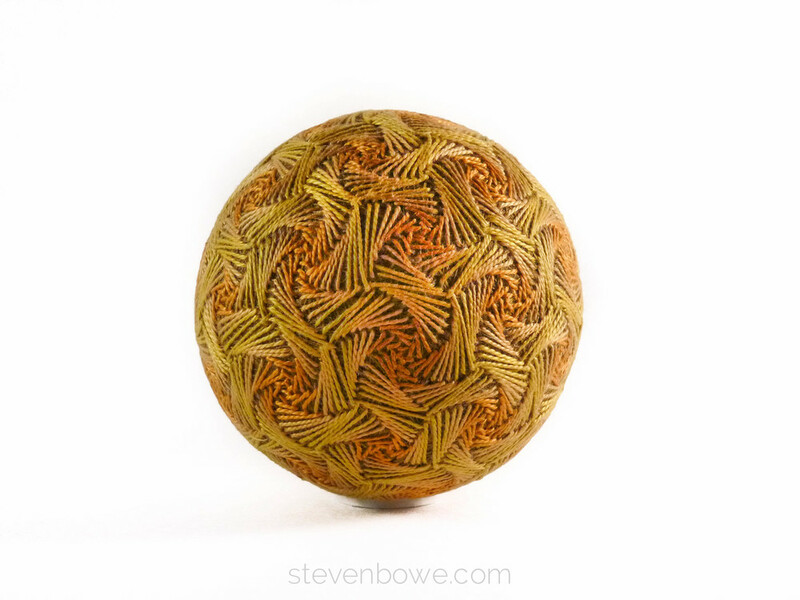 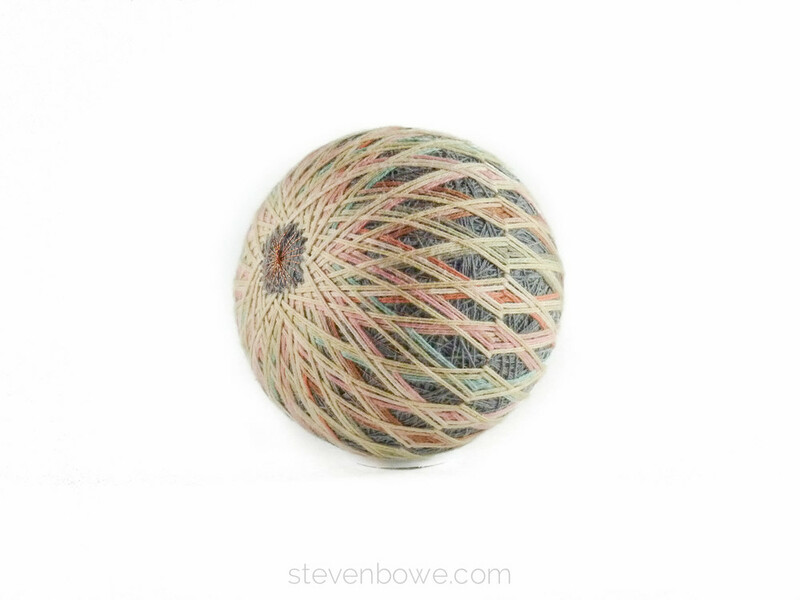 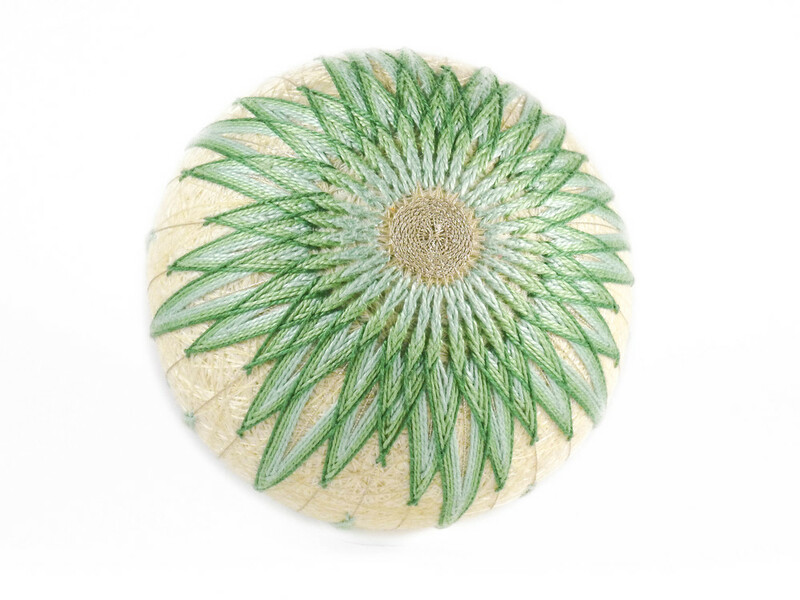 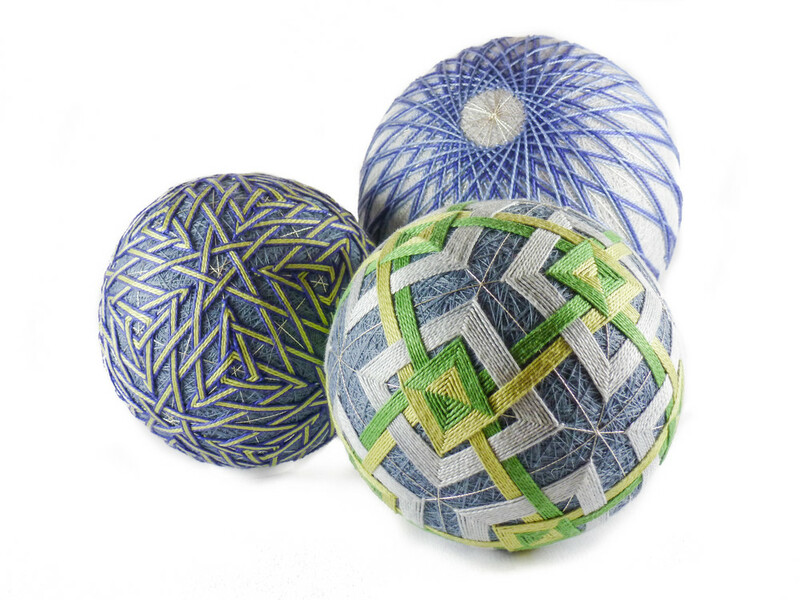 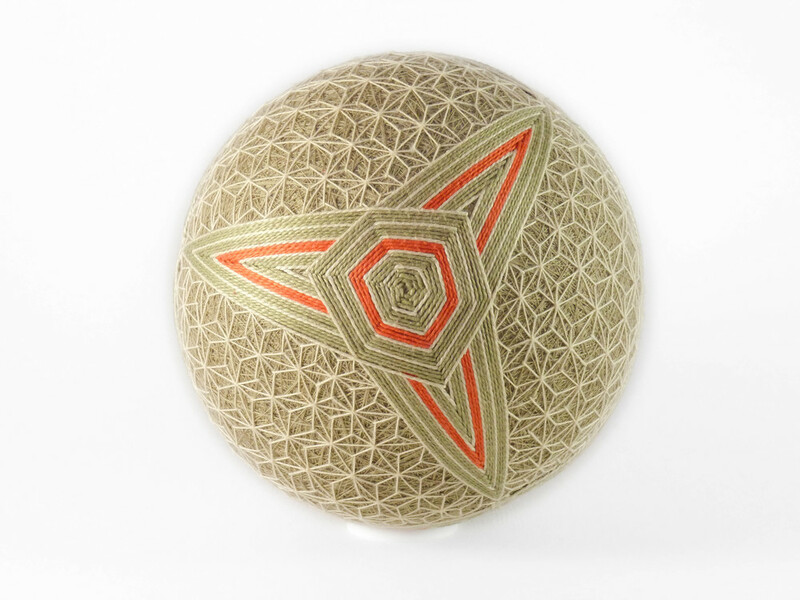 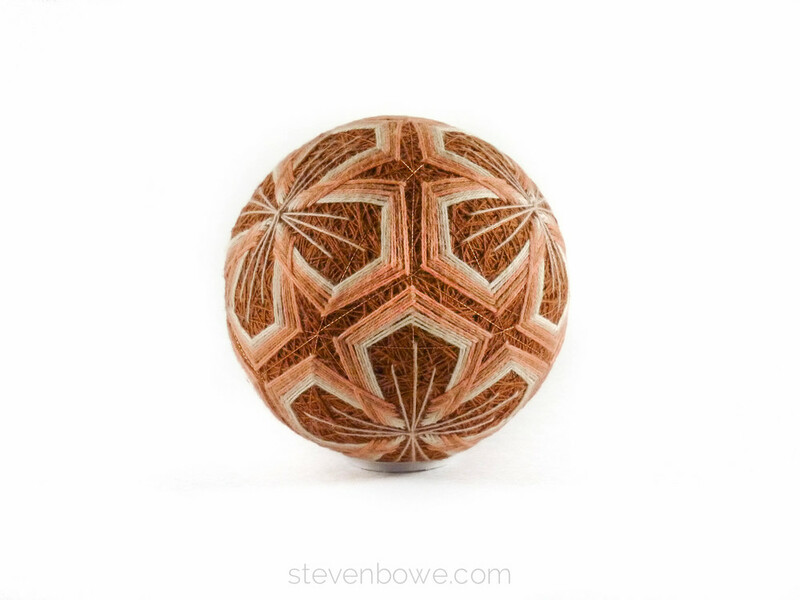 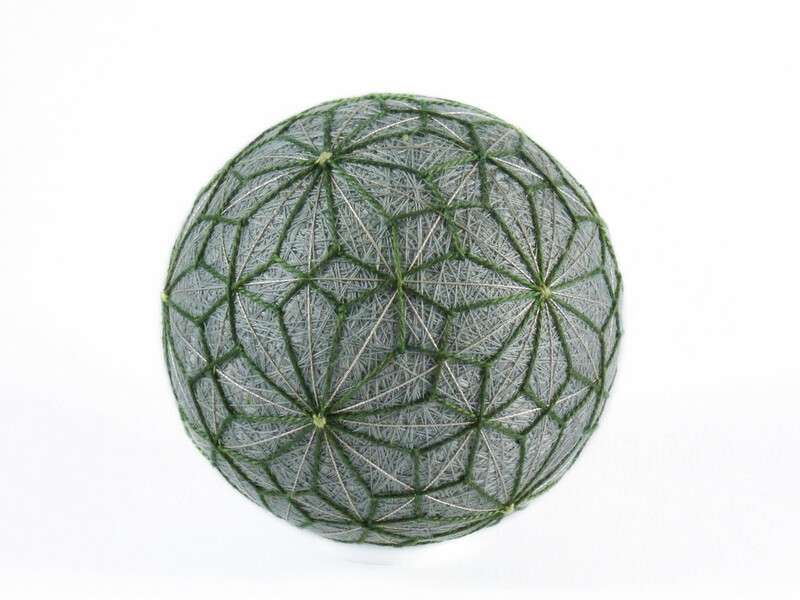 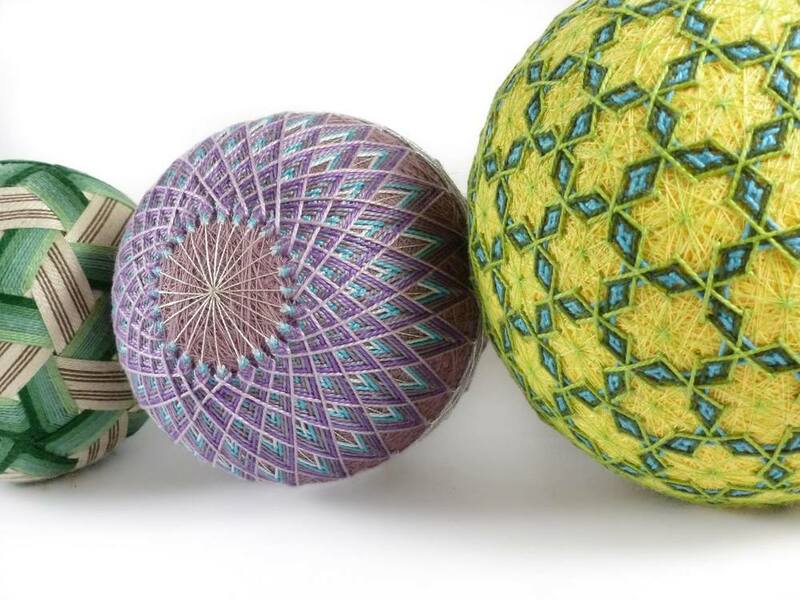 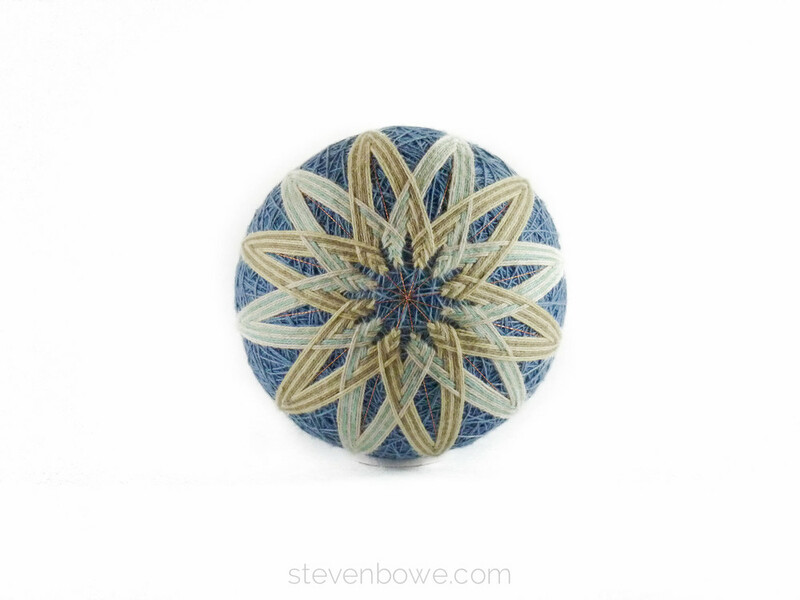 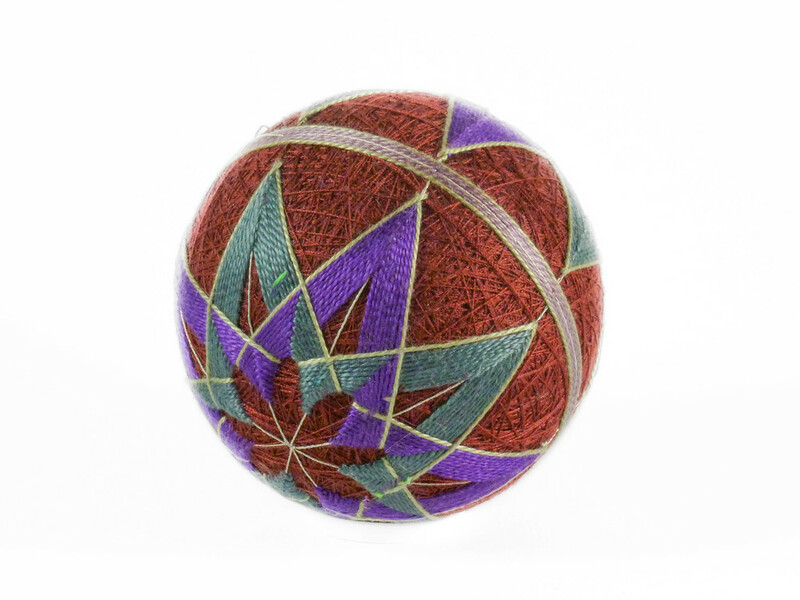 Using these reference points, the ball is divided into equal segments (like an orange) and designs are embroidered onto them. 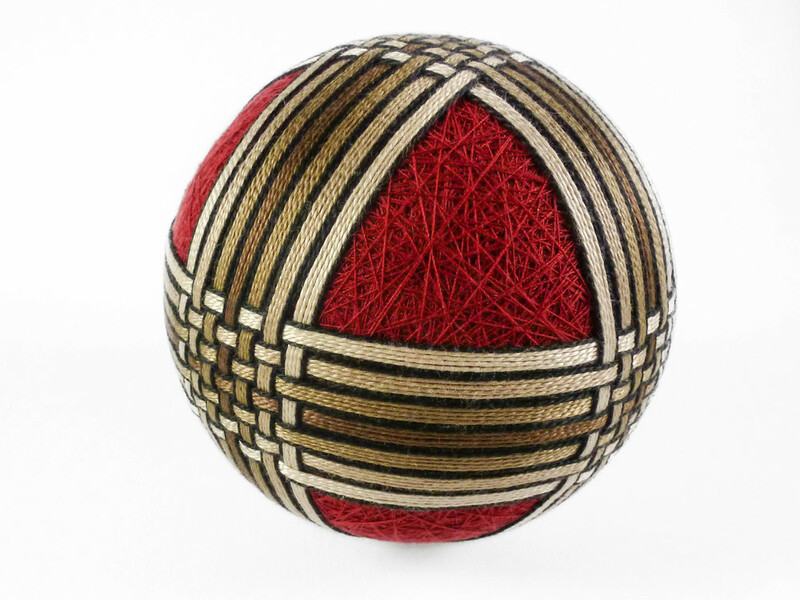 In temari with complex divisions, numerous poles are defined. 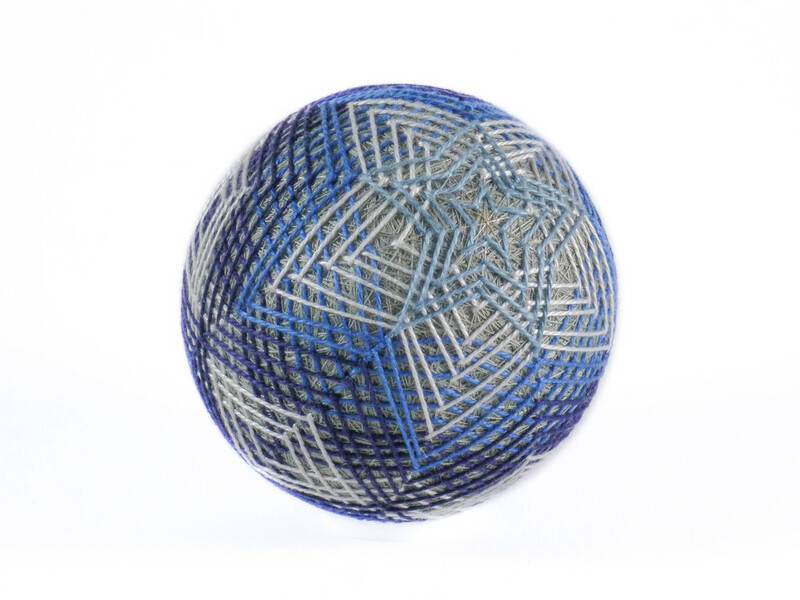 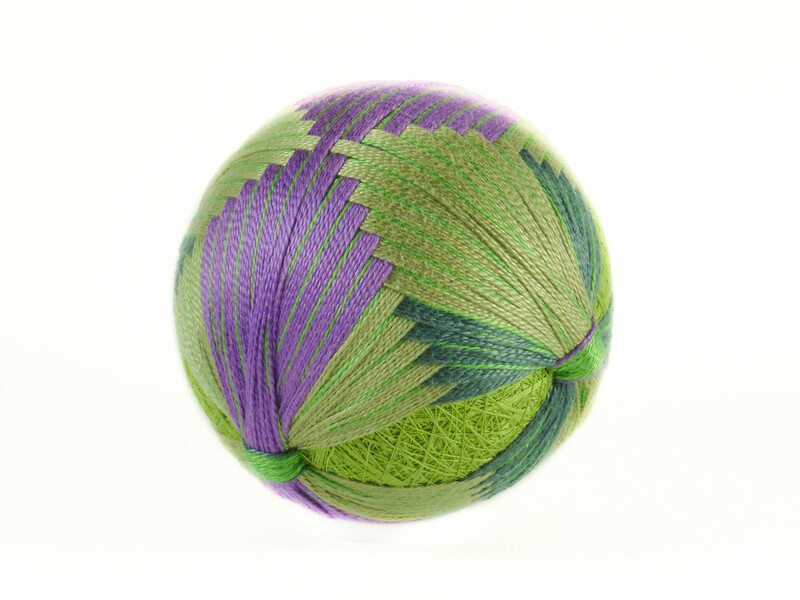 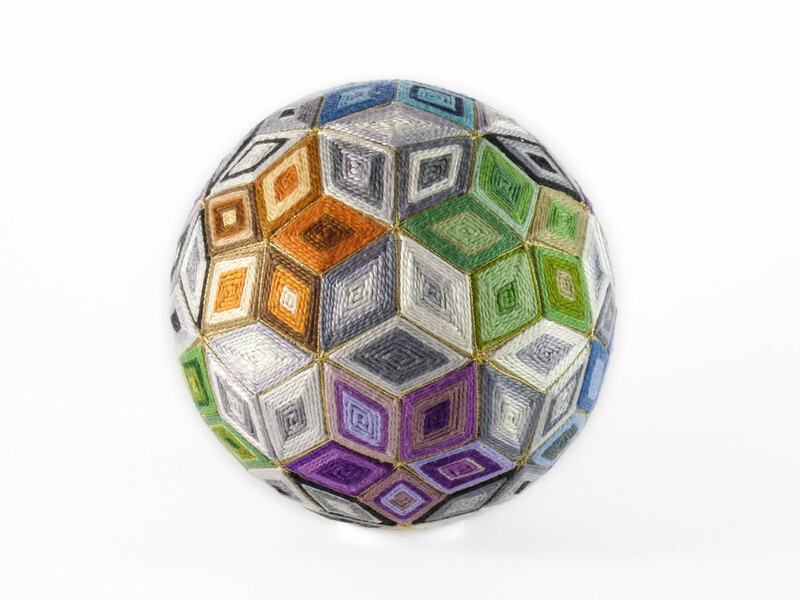 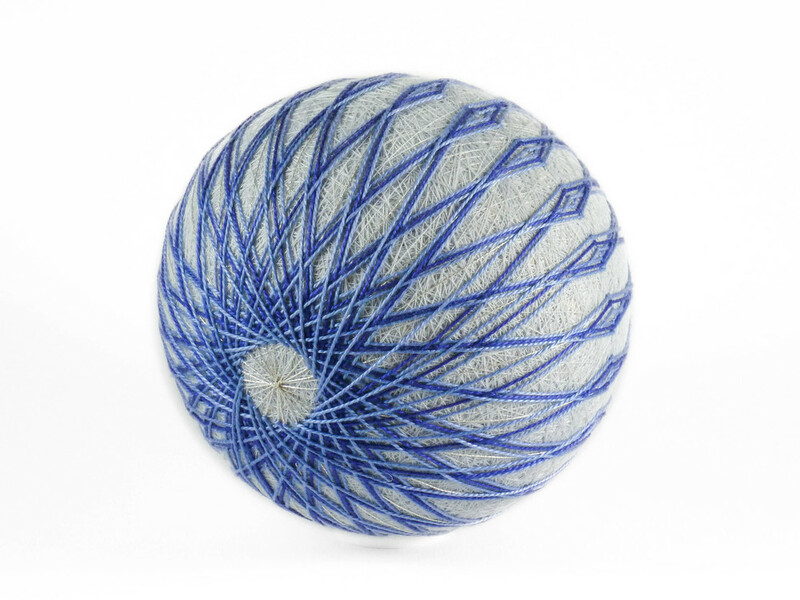 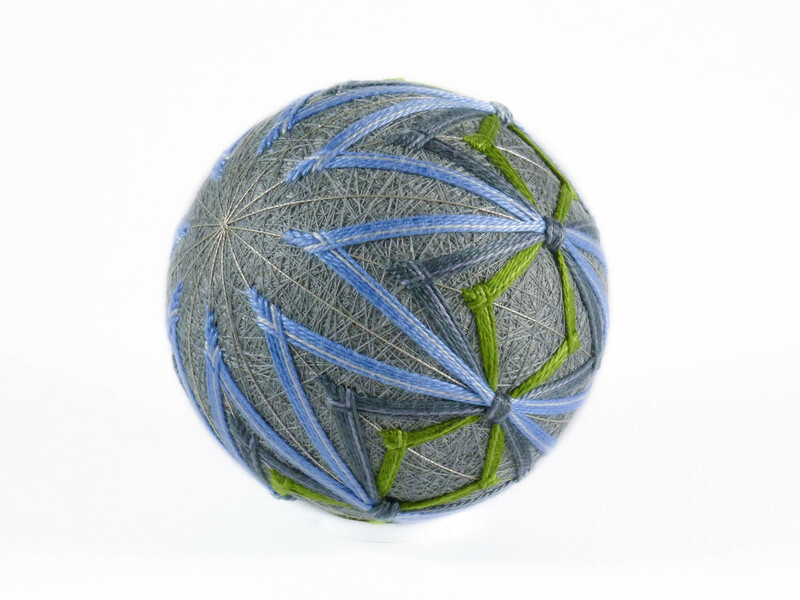 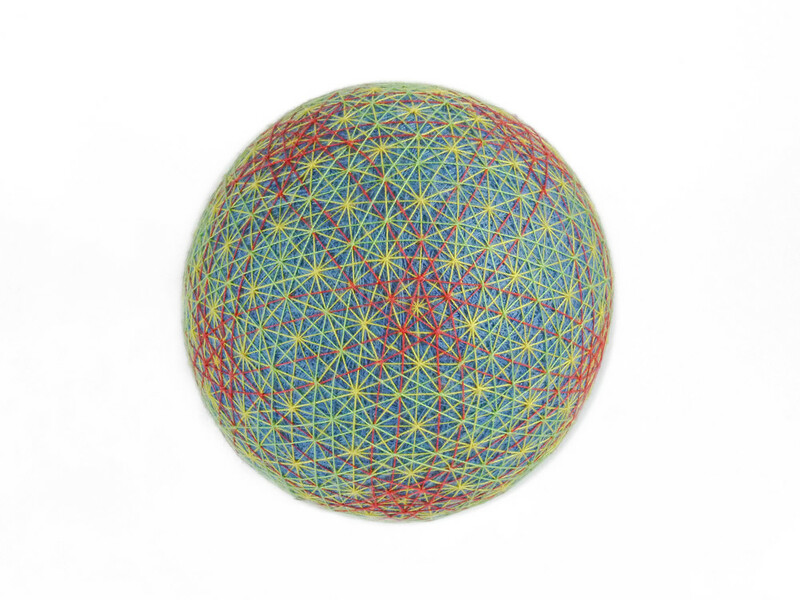 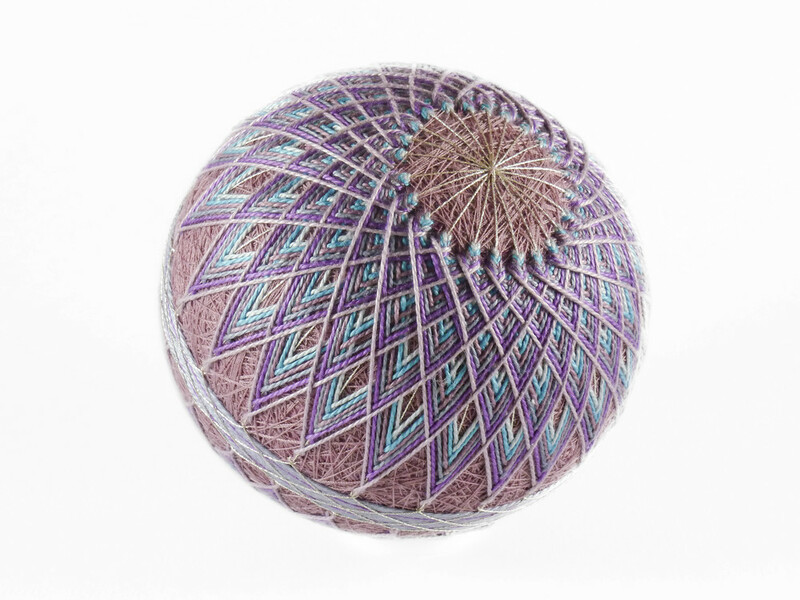 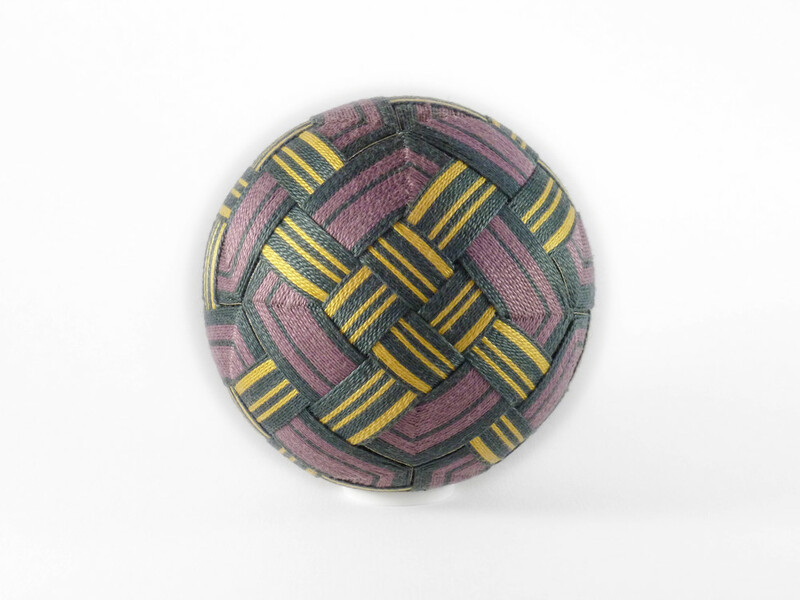 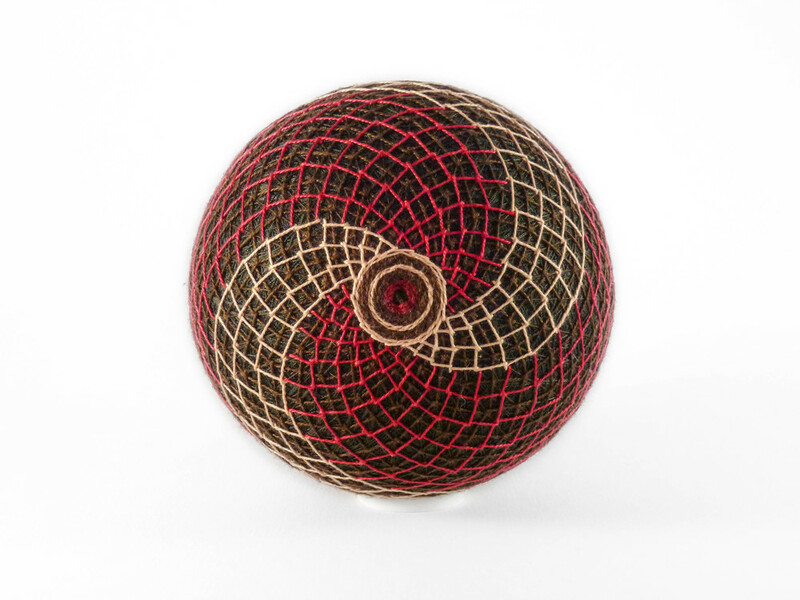 The most basic complex divisions result in 6 or 12 poles (or “faces).” More complicated divisions can result in hundreds or even thousands of “faces.” The ball is then divided using these points, resulting in a complex grid of geometric shapes that can be embroidered onto. 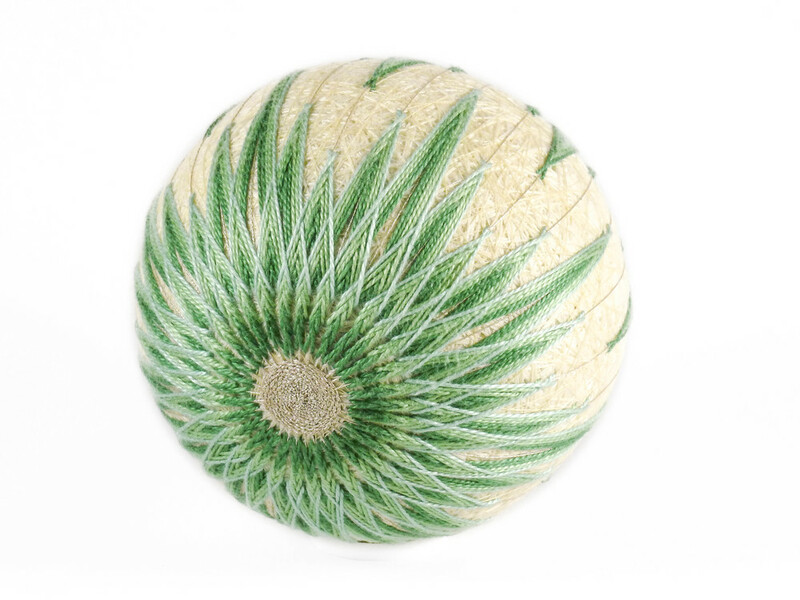 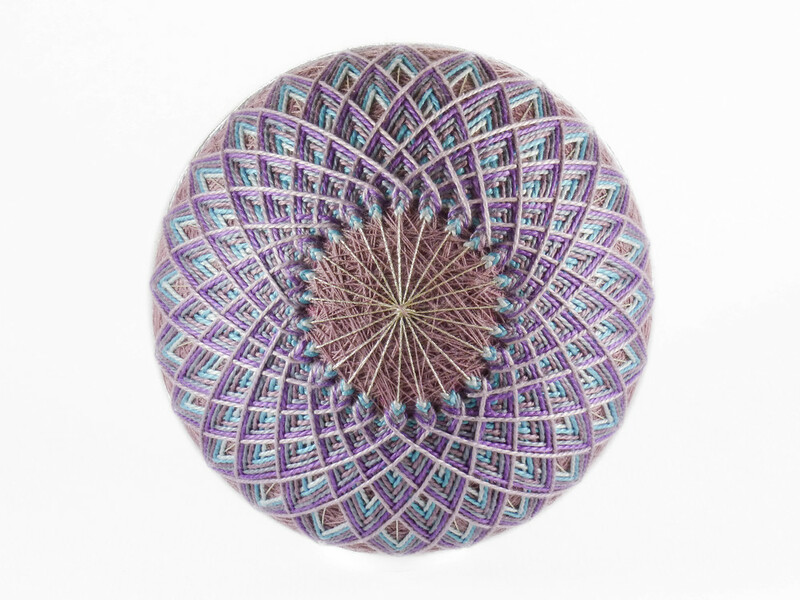 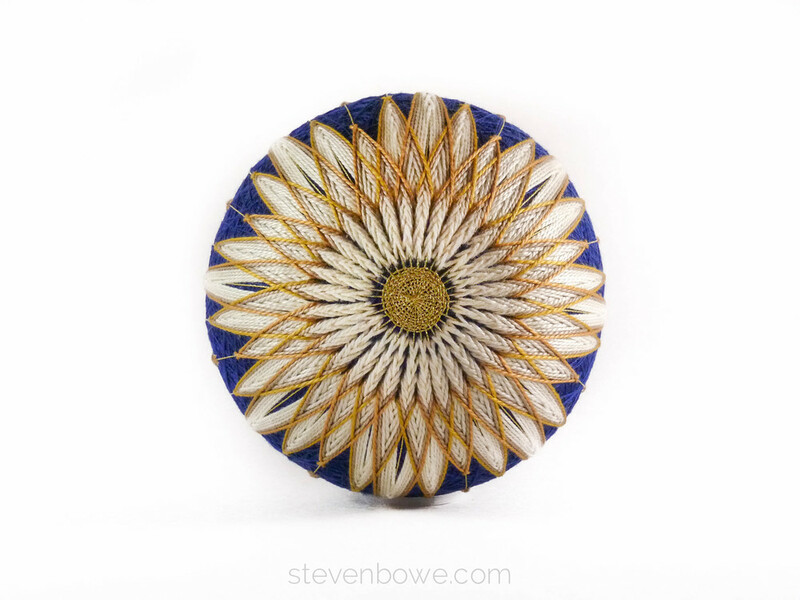 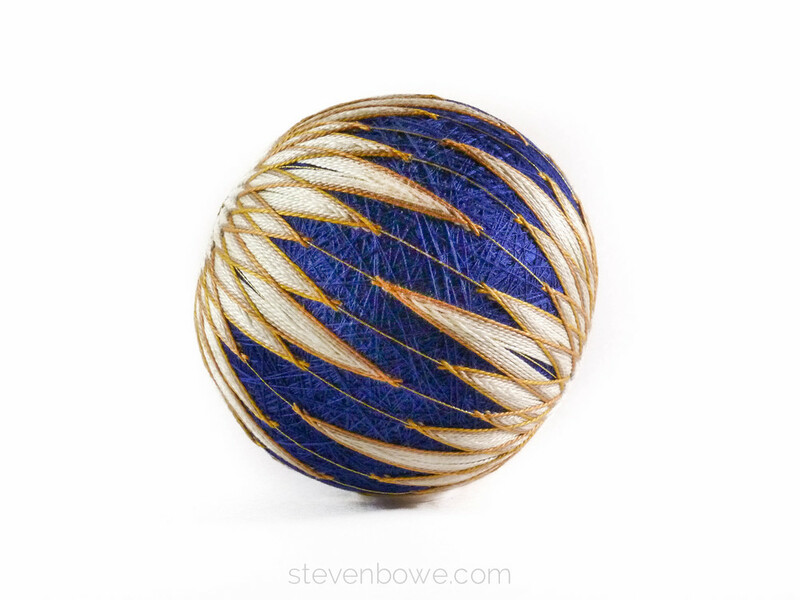 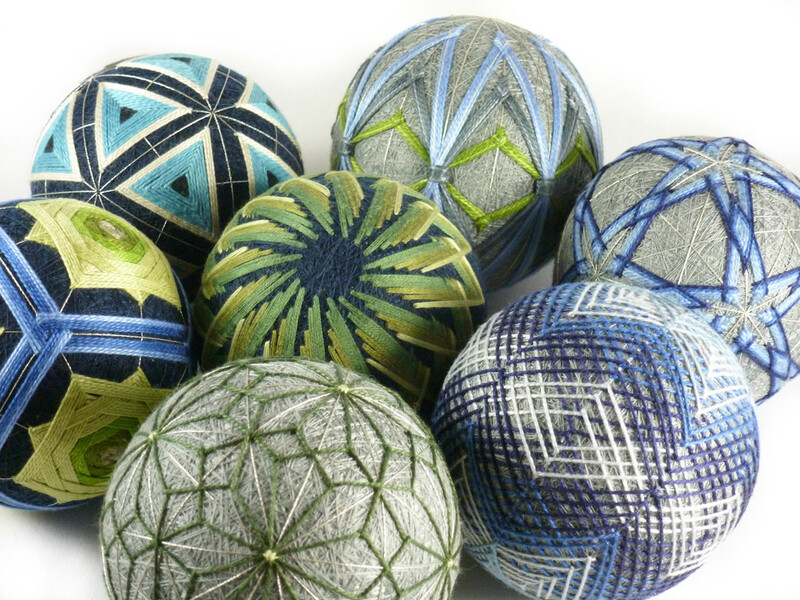 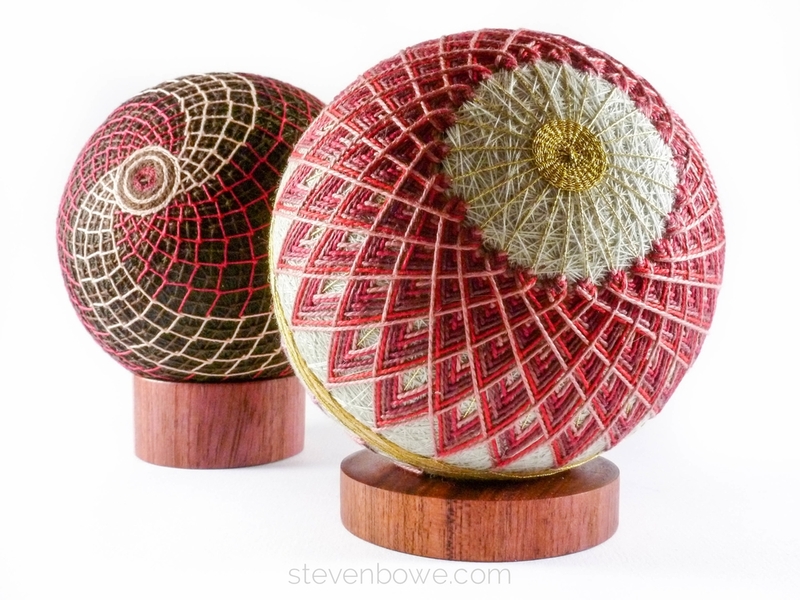 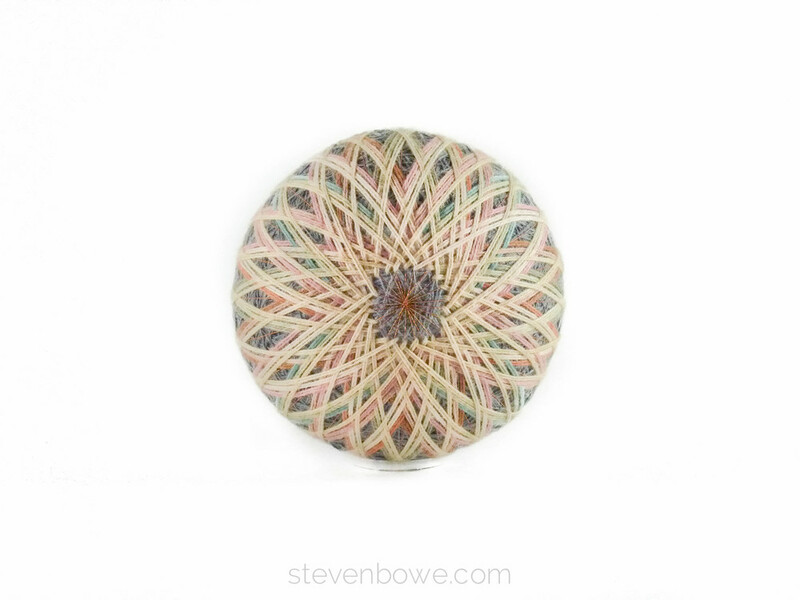 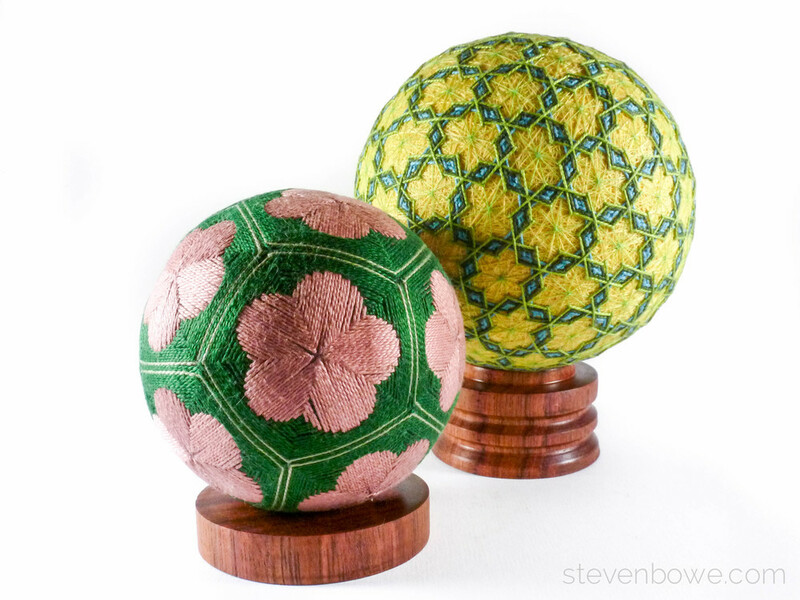 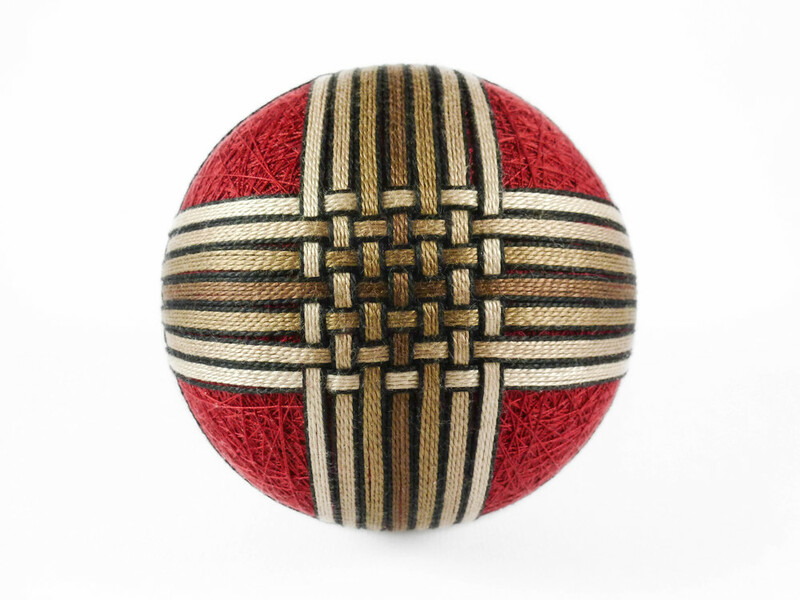 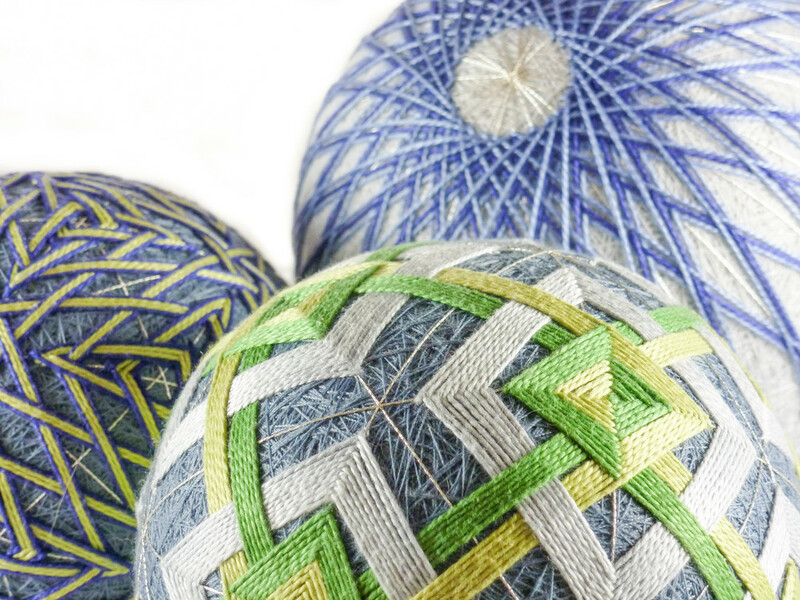 Temari look great displayed alone, but arranging them in groups can accentuate the colors and geometry of each one.